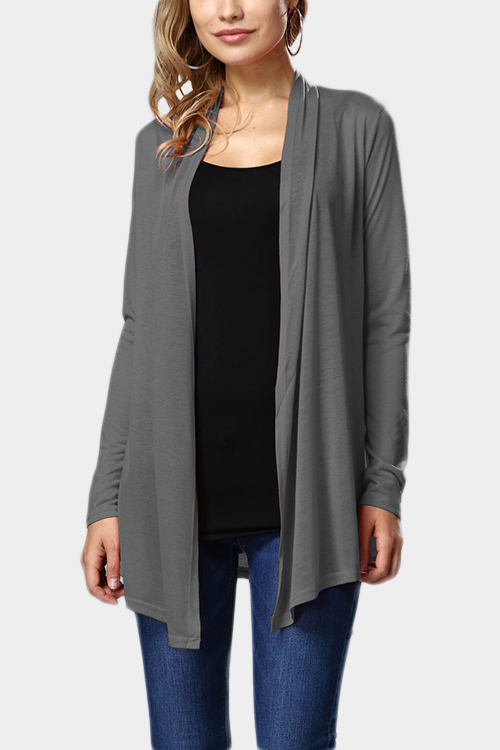 Speaking of autumn must-have fashion items, long sleeve cardigan is always on the list. 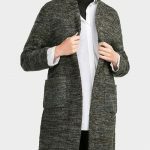 I think we all love the soft and flexible fabric touch and the versatility as a basic top or an outerwear against the cold weather. The best part is you can wear this fashion item anywhere and anytime. 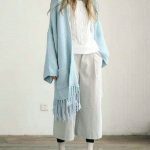 To match the autumn skirts, you must need a cardigan, whether it’s mid-sleeved or long sleeved, tight or loose, so that you can easily release the goddess temperament. Just so you know, v-neck is still this season’s love as a super popular trend last year. 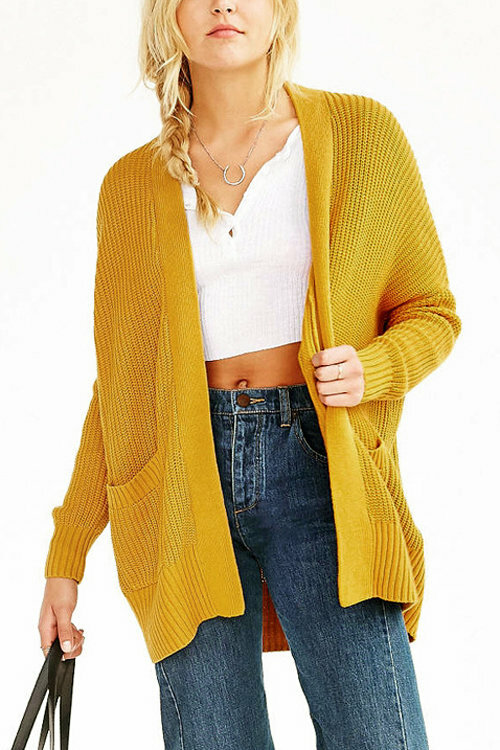 I personally recommend the v-neck cardigan of oversized design, cause it makes your baby face go away and you will look slimmer if you match it with a pair of black tight pants or some skirts, better with mini skirts. Also if you have bigger thigh, you can try the a-line skirt to hide the fat. 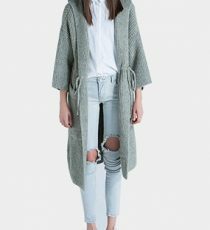 Cardigan has always win hearts with its handsome and simple design, which can be easily found in some basic colors, like gray, blue, cream, brown. Dark colors make the texture high-graded, and better matches with a more diverse, classic shirt. Bright colors, of course, will bring a lot of fun for cold weather. As most of us fell that we usually are in better mood and make others feel less-stressed when we wear bright colors. So whenever you are unhappy, start to change your daily wear to bright colors. It’s simple but also fashionable for any kinds of girls. 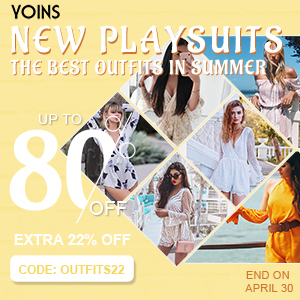 If you would like to look more stylish, you can try the one with embroidery, floral print, or bell sleeves. 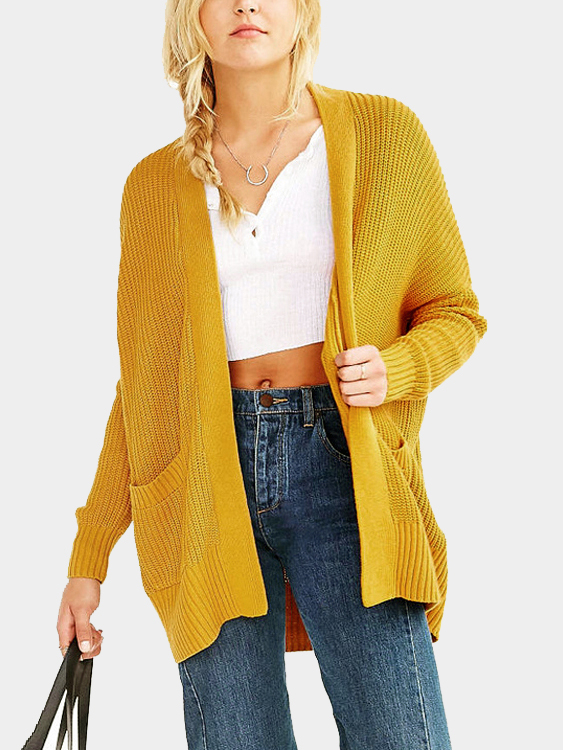 Fall is coming to us, let’s fully prepare our wardrobe for it.